Home improvements can rejuvenate a stale dwelling. But remodeling and renovations could set you back thousands of dollars for each room. A “midrange minor kitchen remodel” — including hardware, countertops, flooring and a refrigerator — is about $21,000, on average, according to Remodeling magazine’s 2018 Cost vs. Value report. But with the right approach, you can give your abode some TLC without busting your budget. “If you’re strategic with the planning, especially if you’re willing to put in a little sweat equity, there are definite simple fixes that you can make,” says Dan DiClerico, a home expert at HomeAdvisor. Try these ways to update your home for less. Here’s a solution that won’t cost a dime: a new room layout. You can work with what you already have to make your space feel new again. Consider ideas like moving the bed to the opposite wall or swapping the location of the sofa and chair in the living room. Slap a fresh coat of paint on the walls for a quick makeover. Hiring a professional to tackle the entire interior can set you back close to $2,000, DiClerico says. But you’ll cut costs by taking on the project yourself. 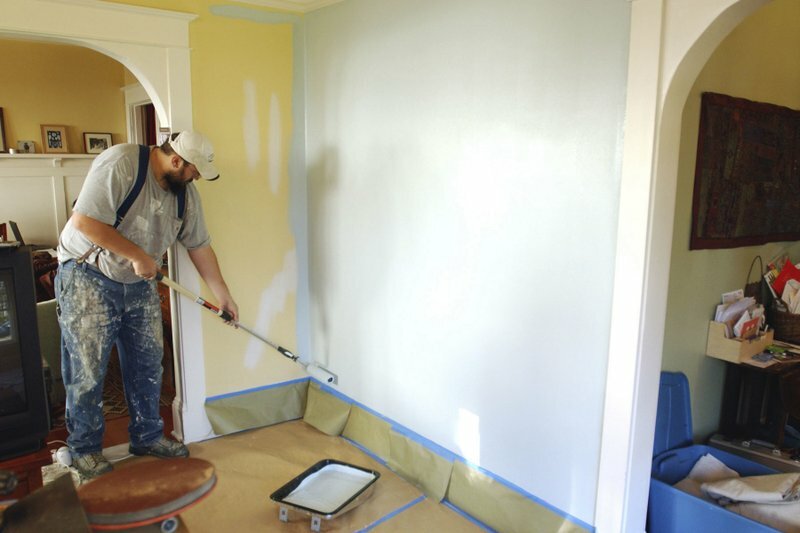 Don’t have the time or money to paint the whole house? Choose one or two areas that you spend the most time in, such as the living room or bedroom. “If you’re able to do it yourself, certainly under $100 is going to get you a bucket of paint and all the necessary tools to totally transform that space,” DiClerico says. Try the same tactic with furniture. Fresh paint or a new finish can revitalize old cabinets, tables, dressers and other items. New light fixtures, faucets or cabinet hardware can give a room a completely different look and feel. Cosmetic changes can benefit your wallet, too. You can find cabinet handles and knobs at most home improvement and hardware stores for a few dollars each. Some faucets and shower heads reduce water use, which means you could save money each month. You don’t have to revamp every inch of a room. DiClerico suggests that you “splurge on the things you’re interacting with on a daily basis.” So rather than shell out half a year’s salary for a complete kitchen remodel , upgrade a few select items. “You can do a sweep of appliances — the fridge, the range, the dishwasher — for a few thousand dollars or less,” DiClerico says. Explore other ways to scale back on costs. You might purchase a coffee table or chair in lieu of a living room set, or install new flooring in a small, heavily trafficked location instead of every room. Redecorating can be much more affordable — and just as effective — as major upgrades. You can cozy up a space and add a pop of color with throw pillows, lamps, area rugs or plants. Dress up windows with brand new curtains. Or, pick a statement piece for the wall, like a large work of art or mirror. “It’s about zeroing in on the focal points in that space to get the bang for the buck,” DiClerico says. Salvage couches and armchairs that have minor wear and tear with slipcovers. While getting a piece of furniture reupholstered or buying an entirely new piece can cost hundreds to several thousand dollars, you can buy a quality cover for less than $100. Knowing when and where to shop can help you trim expenses. For example, January white sales are prime time for discounted bedding. 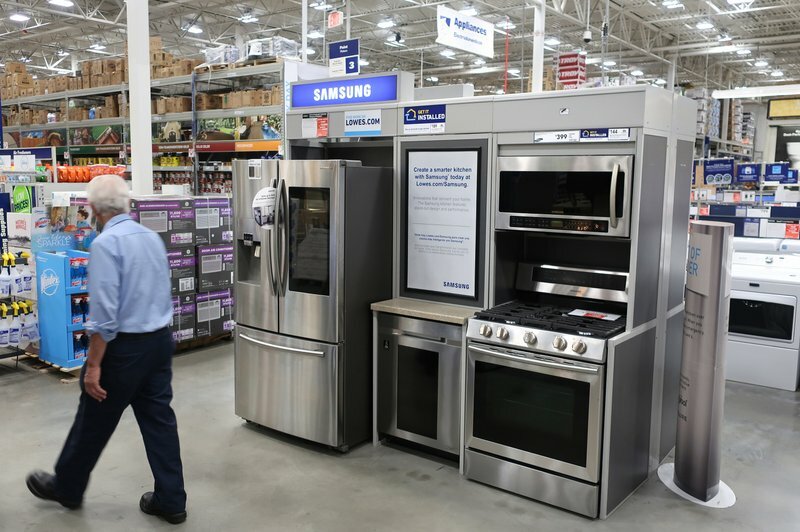 Presidents Day sales in February often include furniture , while November’s Black Friday deals feature appliances. Map out your purchases accordingly, if you can. Check thrift stores, yard sales and local online marketplaces like Craigslist throughout the year for cheap or free secondhand furniture and home goods. “Making your home more beautiful, more functional, more energy efficient shouldn’t have to put you in the poorhouse or into debt,” DiClerico says. With careful planning, you can find solutions within your budget. This article originally appeared on the personal finance website NerdWallet. Lauren Schwahn is a writer at NerdWallet. Email: lschwahn@nerdwallet.com. Twitter: @lauren_schwahn.